Scent: Sharp, with a complex lemony aroma. Action: antiseptic, antifungal, antiviral, stimulant, antidepressant, astringent, deodorant, nervine, tonic, antibiotic, decongestant, anti-inflammatory, bactericidal, bronchodilator, calmative, digestive tonic, disinfectant, emollient, galactagogue, hypotensive, insecticidal, regenerative, sedative, stimulant and vulnerary. Benefits, Indications: It is a deodorizer and disinfectant, as well as having antiseptic and antiviral properties making it great for use when cleaning or when making a blend to help keep the air clean and fresh. This essential oil has been used as a deodorant as well as to help reduce excess perspiration. It has been reported to have antispasmodic properties for the bronchia that may help those suffering from asthma. This oil is helpful for general skin cleansing due to its antiseptic properties. 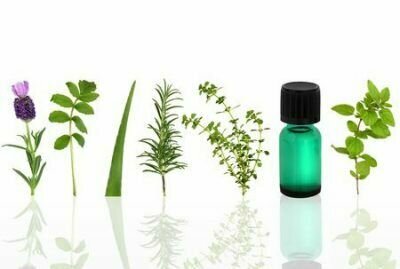 It is also beneficial to the aromatherapy treatment of oily, acne infected skin areas. May Chang functions as a bronchial dilator and is therefore helpful for relief of symptoms associated with bronchitis and asthma. Research in China has focused upon the oil's ability to regulate cardiac arrythmia. This oil is helpful in treatment of fatigue, lethargy, insomnia, anxiety and depression. Precautions: May cause skin irritation. Avoid with glaucoma. May have a homone-like action. Avoid in prostatic hyperplasia. Avoid with sensitive, diseased or damaged skin. Do not administer to children. Identification of Essential Oils with Strong Activity against Stationary Phase Borrelia burgdorferi.